An iconic update to Diesel's Mega Chief collection, add this timepiece to your personal watch collection. This masculine timepiece combines the intricate craftsmanship of stainless steel and leather. If you have an acute attention to detail, look closely to admire the sub-dials, date window and minimal hour markers. 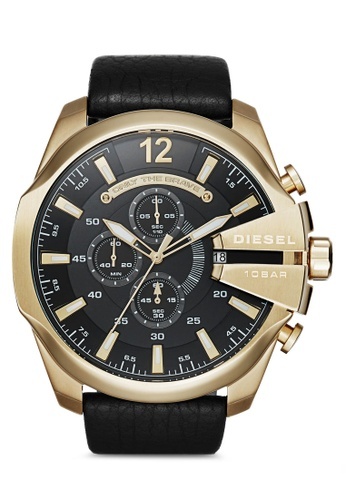 Can't find Diesel Mega Chief Gold and Black Stainless Steel Watch DZ4344 in your size?